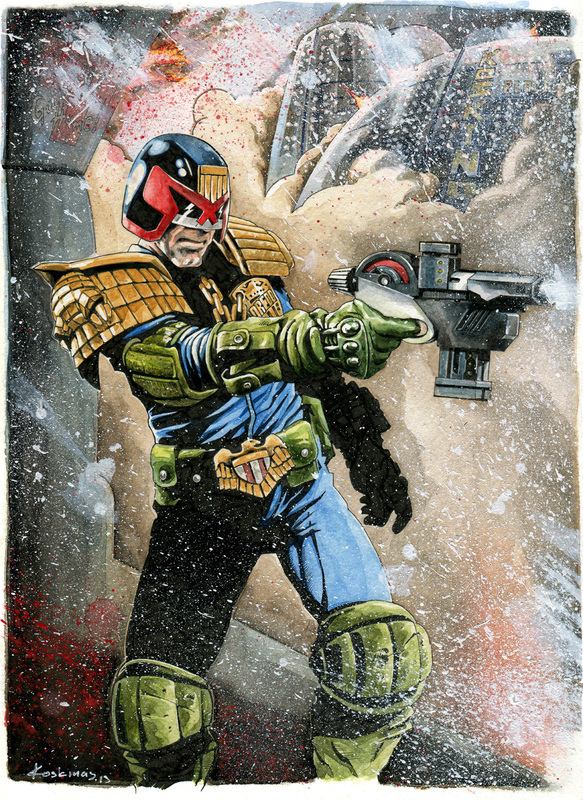 Judge Dredd VS East Meg 1. Watercolor and Acrylic on A4 Watercolor paper. Click on the link to see full image.